Ida Mae (Isla) Nies Brink, age 93, of Spring Lake, died Wednesday, November 29, 2017. Ida was born in Holland, Michigan on February 9, 1924 to Jeanette and Harry Nies. While the majority of her life was spent in Holland, she resided the past twenty years in Spring Lake. She graduated from Holland Public Schools, and was employed for several years at General Electric and Beechnut-Life Savers. 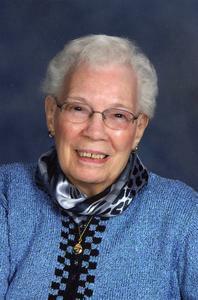 She was a member of St. John’s Episcopal Church in Grand Haven. Throughout her life, she loved all things nature, especially flowers and birds. She was an avid gardener and reader throughout her life. She was preceded in death by her husband, Gerrit (Bud) Brink in 1997, and by her son and daughter-in-law, Ricky and Gail Brink in 1987. Also preceding her in death were her brothers, Gene and Carl (Donna) Nies as well as her sister, Carol (Gordon) Arnold. Surviving is her son Budd (Melinda) Brink of Spring Lake, her grandchildren, Amy (John) Garrison and Andrew Eidson, and her great-grandchildren, Lily and Graham Garrison. Many other relatives including her sister- in-law, Hirtha Nies, as well as her dear friends, Ruth and Carl Wassink, survive her. A celebration of her life will be held at St. John’s Episcopal Church, Grand Haven, at 11:00 a.m. on Saturday, December 2, 2017. Memorials can be made to St. John’s Episcopal Church or Hospice of North Ottawa.